With the V5R1 release of RPG IV IBM has "liberated the language" by providing us with Free Format RPG. Free Format RPG is easier to read and easier to maintain. This session will provide the basics starting with syntax rules of /Free RPG. You'll learn to appreciate the semi-colon. You will also learn about the built in functions designed to replace some of the old style operation codes. You'll learn coding alternatives using /Free and also about some of the new operations you can only use with /Free. 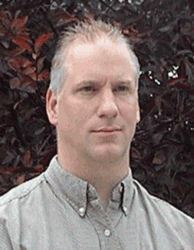 has worked on IBM midrange systems for over twenty years. With many years of experience in programming, analysis, consulting, and instruction, he is uniquely skilled at making difficult material more easily understood. As the lead instructor for DMC Consulting's AS/Credentials training classes, Kevin is responsible developing up to date courseware as well as providing instruction on a wide range of topics. This comprehensive background which includes practical application, education, and research provides a perspective that allows him to help others steer their way through the technical maze that surrounds them.